Stan's Roofing & Siding installs top quality CertainTeed roofing systems, and are certified as a Master Shingle Applicator™. Through their Master Shingle Applicator program, CertainTeed provides extensive training and independent testing for our roof mechanics, foremen and estimators. Our certification as a CertainTeed SELECT ShingleMaster™ Contractor gives you many advantages when you choose Stan’s Roofing & Siding to repair or replace your home’s roof. This is the top level CertainTeed roofing credential, and represents the highest standards of excellence, quality and knowledge in the shingle roofing industry. As a Select Shingle Master Contractor, we have proven our extensive knowledge of shingle installation and quality through rigorous testing, and have provided CertainTeed with proof of workers’ compensation and liability insurance. Only a Select Shingle Master Contractor can offer you the highest level of SureStart™ extended warranty coverage when a CertainTeed Integrity Roof System is installed on your home. Call us at 1-855-247-9153 or click the button below to request a free estimate to install a CertainTeed roofing system on your home! CertainTeed manufactures a variety of high quality, durable asphalt roofing systems and Stan’s Roofing & Siding is certified to install all of them. 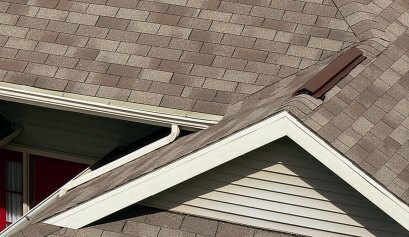 Asphalt roofing shingles are the most commonly used covering on residential properties in the market. Asphalt’s primary purpose in roofing shingles is to serve as a waterproofing agent. Asphalt also holds the granules in place and adds to the overall strength of the roofing shingle. The best asphalt will stay flexible and will not dry out or become hard or brittle for the expected life of the roofing shingle. Strip asphalt roofing shingles are single-layered asphalt roofing shingles typically designed to look like slate. Strip roofing shingles are usually the lightest weight asphalt roofing shingles available in the market. 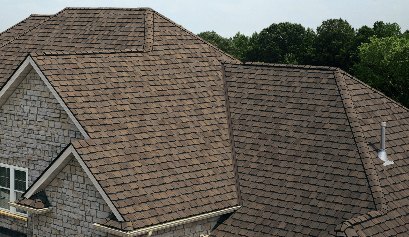 Built on a tough fiberglass base, each shingle provides resistance to blow-off and tearing. Strip roofing shingles are used primarily by home builders manufacturing economy priced homes or purchased by homeowners as replacement roofing shingles for homes that already have strip shingles on the roof. 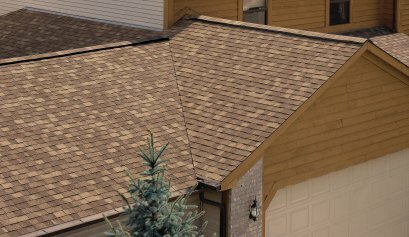 CertainTeed manufactures strip roofing shingles under the product names CT™ 20, XT™ 25 and XT™ 30. Dimensional asphalt roofing shingles are manufactured as multi-layered products and provide a thicker and richer appearance on the roof (a multi-dimensional look). Dimensional roofing shingles typically are heavier weight than strip roofing shingles and usually have improved warranty protections, which can range from 30-years to Lifetime. CertainTeed’s Landmark™ Series roofing shingles are a prototypically design for a Dimensional roofing shingle. Premium asphalt roofing shingles are usually described as laminated shingles that have a differentiated appearance or functionality from traditional dimensional asphalt roofing shingles. These products may have designs that mimic “old-world” roofing shingles, like natural slate or natural shake roofing shingles. CertainTeed’s Grand Manor™, Presidential Shake™ and Centennial Slate™ shingles are prime examples of premium roofing shingles that provide an enhanced aesthetic appeal. Premium asphalt roofing shingles might also have important functional improvements such as Impact Resistance or Solar Reflectivity that can possibly extend the life of the roofing system or provide lower energy costs. Landmark™ Special and Landmark Solaris™ would be primary examples of premium asphalt roofing shingles that provide enhanced functional performance. If it's time to replace your roof, why not choose the highest quality roofing shingles, installed by trained and certified contractors? Contact us today to request your free estimate! We provide roof repair and roof replacement services in Orland Park, Plainfield, New Lenox, Homer Glen, Mokena, Tinley Park, Frankfort and surrounding areas.